An assignment for English, a pointless, idiotic assignment, but maybe not. Kurt Cobain, Janis Joplin, Heath Ledger, Amy Winehouse, Amelia Earhart, they are all dead and they are all going to get letters from Laurel. She wants to speak to someone about her feelings since her sister died and her life fell apart, and who else better to speak to than dead people. She starts writing and soon finds she can’t top, writing about her sister, her new friends, her first love and her shattered life. It feels good to talk but soon her feelings cant just be contained on paper, she is going to have to open up to living people or she will continue on alone, but which is best? Love Letters to the Dead has had mixed opinions as far as I’m aware. I know people who really didn’t like it and I know others who did. It even gained a pretty big hype because Emma Watson, of Harry Potter and Perks of being a Wallflower fame, tweeted that she fell in love with it. So I went in apprehensive, I didn’t know if I would I would like it or not but I was willing to give it a good go – and I am so glad I did! This book was emotional, in a big way. There was a lot going on, a lot of broken hearts and a lot of sadness within its pages, but I loved every second. It choked me up and it twisted my heart but at the same time I fell in love and I knew I couldn’t help but read. Laurels story is heartbreaking and I kind of knew what was coming from most of it but I still needed to read it to find out if what I thought was going on, was. Over the course of one school year you get close to Laurel and her friends and you find out what it really feels like to love, lose and laugh. 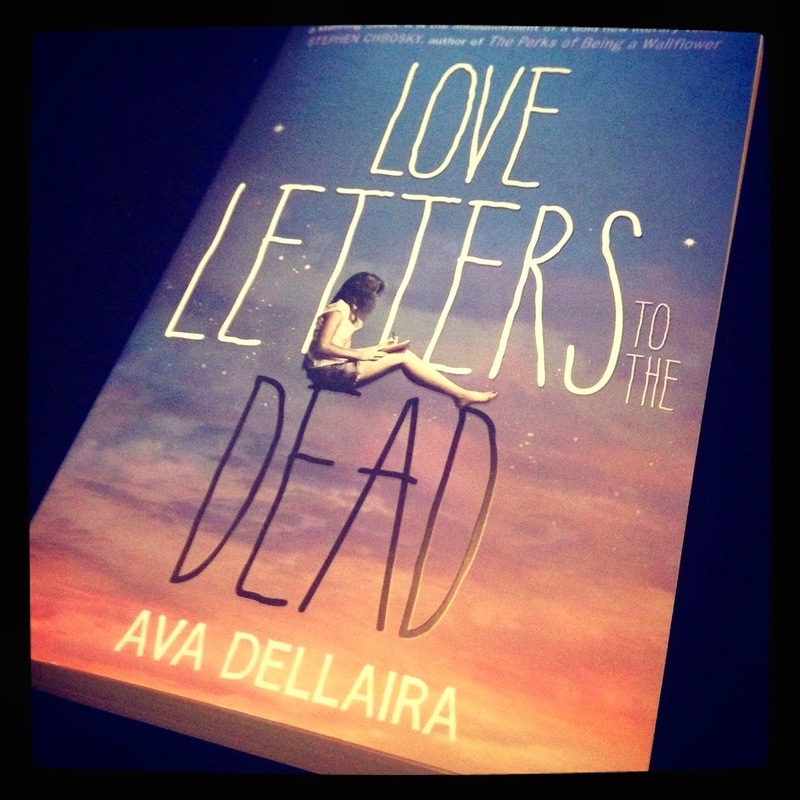 I had been warned that Love Letters to the Dead felt just like The Perks of Being a Wallflower as you read it but that comparison is unfair in my eyes because it resonated with me more and I felt a lot more connected to the characters than I had when reading Perks. The characters are amazing and I loved them, they were all messed up but they were beautifully messed up, in a way that I would love to have them as friends and help them pick up their own pieces. I think my favourite characters were Kristen and Tristan because I understood exactly where they were with their lives, I remember being 18 so much more than being 14 and I remember it being amazing and scary at the same time, the crossroads you are at at that age are exciting and terrifying and its quite possibly one of the best times of your life, whereas 14/15 is just painful and scary and horrible. I think the thing that I loved the most about the book though is the people Laurel writes to. The musicians and the explorers and actors. I liked that she had good reasons for choosing the ones she did and that they were such a mix of people too, they weren’t all of the same time or the same industry and they are all very special in their own way. My favourite letters were probably the Kurt Cobain ones because he is such an influence to so many people and I am a fan of his music so much more than any of the other musicians mentioned, but I also loved the River Phoenix letters as I have always been fascinated with his story and how it has slipped in to a few YA books I have read. I honestly felt a connection to this story and I really didn’t want it to end. It was horrible and beautiful all at the same time and I spent most of it willing that Laurel would get over blaming herself and hating herself and become the girl she should be. We all know that teenage years are terrifying and this book put that into practise so well. I will be keeping an eye out for more from Ava Dellaira. Love Letters to the Dead was published on May 1st by Hot Key Books. My copy was sent from the publisher in exchange for an honest review. I hadn’t really heard much about this book before, but from your review it sounds really interesting. I will have to keep an eye out for it.